2017 WSOP Live streaming, News, TV schedules for the 2017 World Series of Poker tournament the ultimate live poker event held each year in Las Vegas. 2017 WSOPE Main Event Winner Marti Roca de Torres was crowned champion this weekend winning the prestigious WSOPE bracelet and €1,115,207 for first place prize. 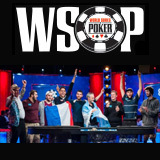 The champion was determined after a four hour heads-up match between Marti Roca de Torres and runner-up Gianluca Speranza. All the action took place at King's Casino Rozvadov, Czech Republic on Friday 10th November, 2017. The five million Euro guaranteed World Series of Poker Europe Main Event 2017 is currently under way with 490 players registered by the end of Day 1a & 1b. Registration for the Main Event continues until the start of Day 2 with the buy-in set at €10,350 per player at King's Casino, Rozvadov. 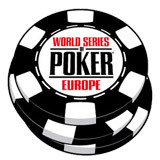 The field of players include the best of what Europe has to offer and USA poker pros all after the WSOPE Main Event bracelet and a million euros guaranteed for first place prize. 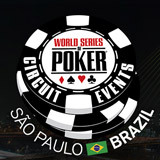 The WSOP Brazil São Paulo 2017 features a million dollar guaranteed Main Event scheduled from 27th September to 4th October. Players can start qualifying online at PartyPoker, every Sunday there are ten WSOP Brazil prize packages to be won valued at $1,500. Buy-in directly or play your way to the final satellite with daily quarter final phase tournaments with buy-ins as low as $2,20. PartyPoker offer exclusive satellites as an official sponsor of this circuit events, signup as a new player and get up to $500 welcome bonus. 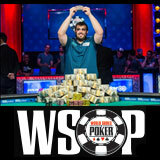 2017 World Series of Poker Main Event winner Scott Blumstein won more than eight million dollars and a WSOP Main Event bracelet for his first place finish. The 2017 WSOP Main Event had a field of 7,221 players entering the $10,000 buy-in event at the Rio Hotel and Casino in Las Vegas. Blumstein won the event after defeating runner-up Dan Ott in the head-up battle for the title, bracelet and first place cash of $8,150,000. Scott Blumstein, an online grinder from New Jersey now holds the title of 2017 WSOP Main Event champion. The 2017 WSOP Main Event final table has been reached and the last remaining nine players will return this weekend to determine the winner. The final table features two players who have already had Main Event final appearances: Ben Lamb & Antoine Saout. From the original starting field of 7,221 there are just nine players returning for the 2017 World Series of Poker Main Event final table on Thursday. They will play down to the final six positions and on Friday they'll play down till three remain. This Saturday the final three remaining players will play until the champion is awarded the bracelet and over eight million for first place prize.